If you're one of the people who have no idea what the Grinch is, here's a quick summary. In 1957, child author Dr Seuss released a book about a mean "Grinch" that gets angry at the town of Whoville over their celebrations of Christmas, and so he decides to ruin the town's Christmas by dressing up as Santa Claus, breaking into every home on Christmas Eve, and stealing their presents. However, that doesn't give him the result he expected and he learns a lesson about what Christmas truly means to the town. And that eventually leads us to the 2000 film, starring Jim Carrey and directed by Ron Howard (Arrested Development, Solo). Unlike all the previous films based on Dr Seuss' works, this movie was going to be the first to be released in cinemas and receive a theatrical length, and that means adding more content to the original story, which is always a difficult task. Some of it works, some of it doesn't. Before we get to the Grinch himself, let's talk about one of the most noticeable decisions made by Ron Howard; The use, or should I say disuse of colour. Despite being both a Christmas film and an adaptation of a children's book, both of which should almost always be bright and dynamic with colours, Ron Howard has opted to go for a fog-like coating. Every scene is dull and dark, even in the sunlight. 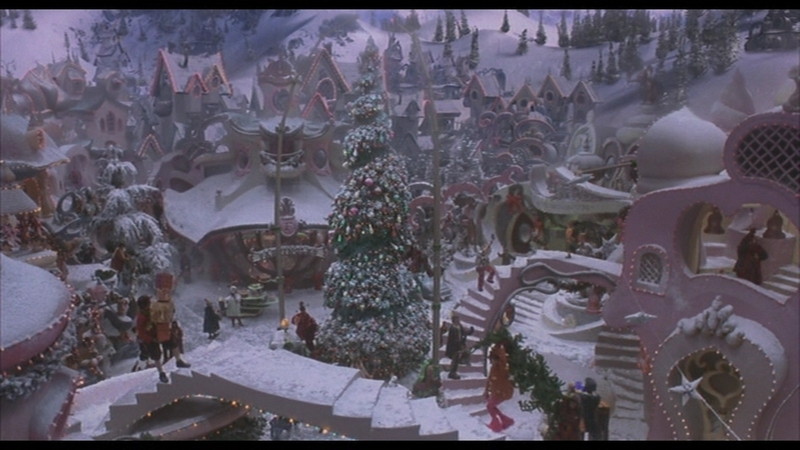 If the goal was to make the town of Whoville look polluted from all the commercialism of Christmas, then I'd say Howard over-achieved with it. I haven't seen the newest Grinch yet, but I can tell it has already fixed this one problem at least. And make no mistake, this is a problem. 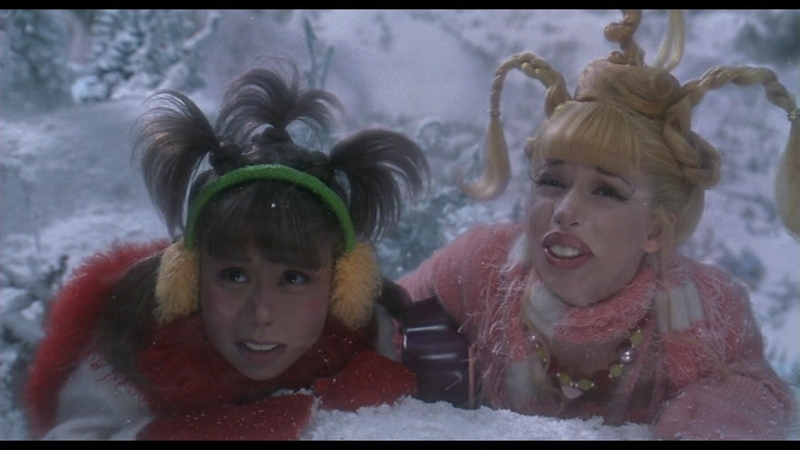 While we're on the complain train, let's get to the "Whos down in Whoville". These are, essentially, normal-ish people who live in the weird town and want to celebrate Christmas as much as possible, to the point where the Grinch is angered enough to do something about it. In the books, they have very little time given to them since our focus is on the Grinch. In an expanded story, it makes sense that they are expanded as well... but they're so ugly! I admit that it's bold and admirable to want to follow the book as much as possible in terms of presentation, but the false noses and teeth don't translate well to live-action at all and gives everyone a deformed look. I'm sure this was done with good intentions, but imagine we got this with the Simpsons, and everyone looked like they had jaundice. It would have saved a lot of money, a lot of time, and a lot of screaming if everyone was allowed to look normal. What does look fantastic however is the Grinch himself. This film won the Academy Award for Best Makeup and you can see it was not because of the Whos, but rather the antihero himself. If this film had been made today, you know for a fact that the Grinch would be entirely CGI, doomed to age rapidly in a few short years like Disney's Beauty and the Beast, but this film works so much better since we actually see Jim Carrey there in the suit and makeup, all green and hairy. When the "charming citizens" are uglier than the mean Grinch (inside and out), then you know your film has a problem. And that brings us to the reason everyone likes this film; Jim Carrey's portrayal. And yes, it is fantastic. Carrey is a perfect choice for this sort of role, not only because of his wild energy that appeals to kids, but because his expressions are strong and flamboyant enough to work alongside the impressive makeup. It feels natural, even though I've read about this film and I know for a fact that working as the Grinch was difficult as hell for the poor actor. I'd say the only problem I have with this performance is that it never takes a minute to settle. Constantly, the Grinch is having to be moving, distinctly grumpy and maniacal, but it does ruin the impact of some scenes. For example, the scene where the Grinch's heart grows three sizes. This is meant to be the most emotional moment in the movie, where the Grinch realises what Christmas is and learns kindness. At first, Carrey acts quiet, subtle and sincere. Then suddenly, he's literally screaming and throwing himself, in agony because his heart is growing. Yes, it's sort-of funny but like in Thor Ragnarok, I wish the movie learned that you don't need to always be making a joke and can just let a scene end on an emotional note. It was so close to great that I'm almost annoyed at it. Imagine wearing the Santa costume ON TOP of the Grinch costume. I'd cry. The rest of the performances are passable, with Taylor Momsen as Cindy Lou Who being given a much more prominent role compared to the original (a wise choice), Jeffrey Tambor as the mayor, Christine Baranski, Bill Irwin, Molly Shannon and others, but none of them are given anything particularly funny to do or say. Cindy brings the heart to the story, but our focus is on the Grinch as it should be. The majority of the jokes range from charming to confusing. A scene where the Grinch shows how lonely he is by talking to his echo, eventually ending up in an argument with it? 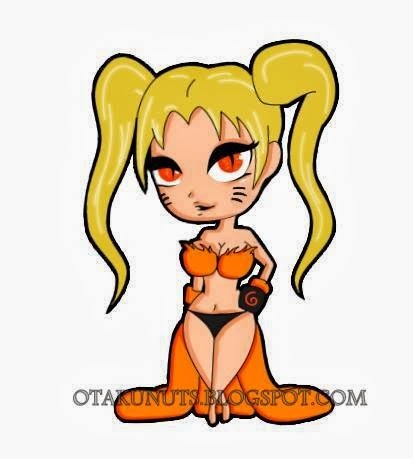 That's funny. A joke about infidelity? That's just weird. And a bit disturbing, since this is meant to be a kid's film based on a kid's book. Adults can enjoy it too, but jokes about having an affair-baby shouldn't even be discussed during a Dr Seuss film. Did you know they aren't allowed to make live-action Seuss movies anymore? Shocker, I know. How the Grinch Stole Christmas is a strange film that borders on the brilliant, but is held back by some bizarre decisions that should have been obviously avoided. Dank colours, inappropriate jokes and a lot of time-wasting often gets in the way of what could have been. 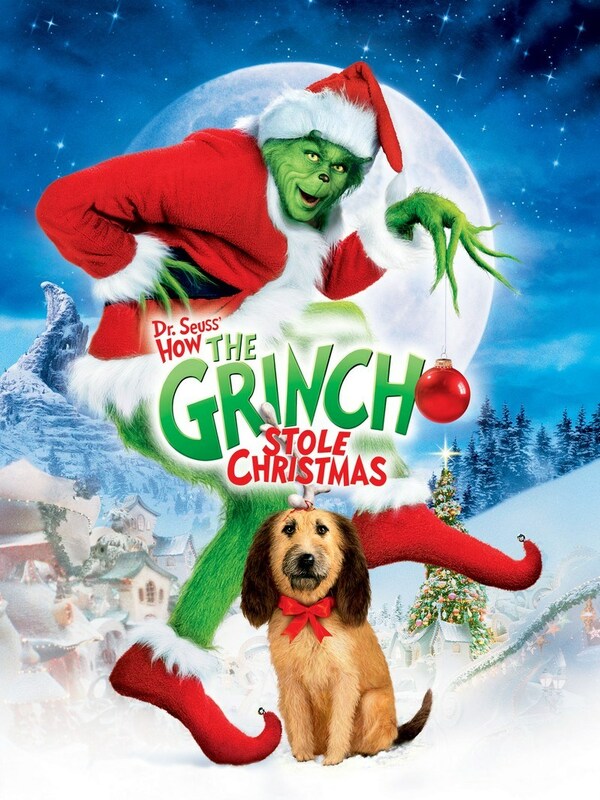 I remembered this film purely for Jim Carrey's performance as the lovable Grinch, and it's clear to me now more than ever that that's the main reason to enjoy it. It's a shame that this film is never able to get to Dr Seuss' level but on the bright side, it's not the worst Christmas film around and kids will definitely get a few well-deserved chuckles from it. Even if our nostalgia might make it seem better than it really is. 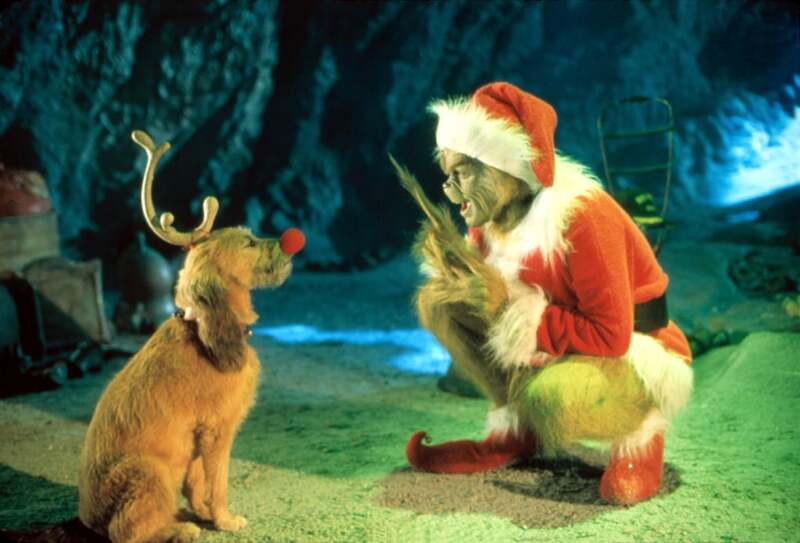 Best Performance: Jim Carrey as the Grinch. Best Part: Some decent jokes, mostly by the Grinch. Worst Part: Some awful jokes, mostly involving adult humour. Oh this is real.... this is too real. I am upset at how real this is.